I wrote these words more than three months ago, the week before the Occupation of Wall Street began. I would like to share these words with you now, as with the NDAA and other pending legislation, with the coming of American austerity and the police state that enforces it, I feel they are as important as ever. 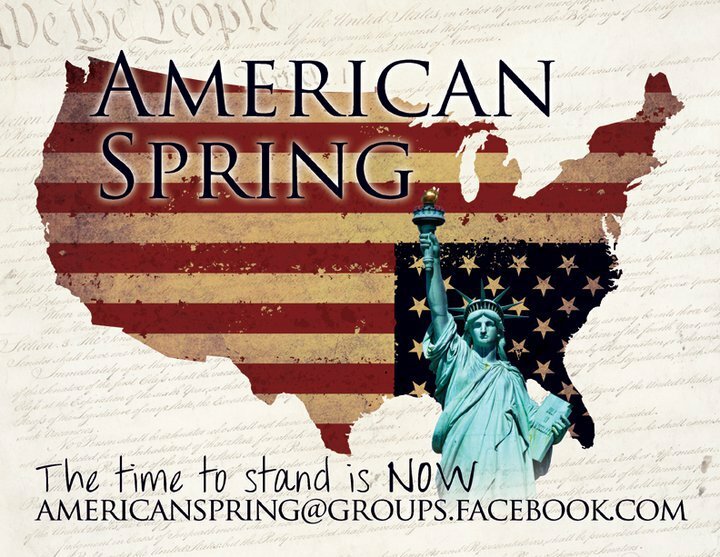 It was written to my online fb group, American Spring, but with a few modifications it is true of all of us. I offer it to you in solidarity this morning of December 17, 2011. I am with you. We all are, more and more each day. While we may disagree on many things, the following is common ground. I understand corporations own the media. I understand corporations own our food. I understand corporations own our oil. I understand corporations own our banks. I understand corporations own our medical systems. I understand we have government for and by the highest bidder. I understand they are paid to perpetuate a cycle of continual war. I understand they are paid to position us into debt slavery. I understand they are attacking our economy. I understand they are attacking the social safety net. I understand they are attacking education. I understand they are attacking our environmental protections. I understand they are attacking our financial regulations. I understand they are attacking our food and drug regulations. I understand they are attacking the unions. I understand they are attacking our personal liberties. I understand they are attacking our freedom. I understand they are attacking minorities. I understand they are attacking the poor. I understand they are attacking all of us. I understand that our government has used the tactics of debt slavery on other countries in order to suppress a population, Bolivia as one example. I understand that our government has supported the use of torture, both directly by US personnel and by supporting it’s use in other countries, Egypt as one example. I understand that our government has supported police states around the world, Bahrain as one example. I understand that our government has supported using police state tactics here, San Francisco as one example. I understand ‘supercongress’ is not part of the Constitutional decision making process. I understand Ben Bernanke suggested our congress fall in and perhaps needs a different decision making process than the Constitution. The corporations believe the Fed is going to print more money and put is further in ‘debt’. This is why stocks have risen in the past two business days. This is the same situation as Greece, as Bolivia, etc. This means higher gas, higher food, higher everything for us. We are held hostage by a debt we didn’t create while we buy and fund a war machine that is attempting to monopolize resources. It is the global economic beast, the financial black hole. It is made, right here in the U.S. of A.
I understand it is about more than a pipeline. I understand it is about more than a single issue. We all stand against slavery, worldwide. This perfected tool of fascism, this American Empire, must NOT be allowed to continue. It must NOT be allowed to take another breath. I understand what we are facing. I understand there is no political answer. I understand our system is too corrupted for that. I understand we are in a different time in human history. I understand this is about more than country. I understand this is about more than race. I understand this is about more than background. I understand this is about more than differences. I understand this is about more than any of it. I understand this is about ALL of it. I understand what time it is. As the Eurozone debt 'crisis' spreads and people spill into the streets in protest of forced austerity, America is getting a glimpse into the crystal ball accompanied by a long, sobering look in the mirror. Unelected technocrat Mario Monti has taken over as Italy's PM and will now enforce unpopular austerity measures that are not agreed to by the population. dominoes fall with increasing regularity and volume around the European Union. These are the latest developments in the attempt to bring the whole of Europe under the direct influence of the infamous International Monetary Fund or IMF. Initially developed and conceived as a Fund that would step in and aid countries who were distressed financially during pivotal times to maintain stability, it has since been turned into a tool used by the United States Government and US Corporations to exploit countries around the world. It’s long history of development loans have been used to enslave entire populations by shackling them to loans they can never repay. It was this explosion and inequity of debt that caused legendary rocker Bono to intervene a few years ago and campaign on behalf of Africa, begging for a renegotiation and a lowering of the debt burden that was crippling the continent. Now, the IMF has its sights set on the European Union as its countries are lined up and their leaders are all-too-willing to commit their countrymen to generations of mountainous debt. This is a scheme they have witnessed before. The leaders of these countries understand how this plays out. They have witnessed as the IMF, at the direction of the United States of America, placed country after country under the boot heel of economic repression, saddling citizens with debts they did not ask for and can never repay, under terms that require the complete privatization of public assets and services. Now, this weapon is being leveled against the citizens of the developed world as the global economic meltdown has exposed the entire continent to ‘debt contagion’, setting the stage for the IMF to step in with offers of aid. Unelected technocrat Lucas Papademos takes over in Greece to enforce austerity measures on a populations on the verge of outright revolt. over the past few decades, providing an overwhelming historical record of their effect. This evidence in no small way, has spurred resistance in Europe as they understand the lessons that history provides. Whether in Bolivia, Mexico, Argentina or Nigeria, IMF involvement with the decision making processes in these countries have led to huge sums of wealth being transferred from the people to corporations and banks, while enslaving populations with staggering austerity measures and unfathomable debt. Consider this list (taken from the BBC website), which is Greece’s recipe for austerity success as agreed to by the IMF and corrupt Greek politicians. * Taxes will increase by 2.32bn euros this year, with additional taxes of 3.38bn euros in 2012, 152m euros in 2013 and 699m euros in 2014. * A solidarity levy of between 1% and 5% of income will be levied on households. It will be raised twice next year. 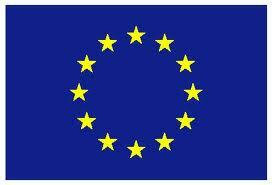 * The tax-free threshold for income tax will be lowered from 12,000 euros to 5000 euros, rather than the original plan of 8,000 euros. * There will be higher property taxes. * VAT rates are to rise: the 19% rate will increase to 23%, 11% becomes 13%, and 5.5% will increase to 6.5%. * The VAT rate for restaurants and bars will rise to 23% from 13%. * Luxury levies will be introduced on yachts, pools and cars. * Some tax exemptions will be scrapped. * Excise taxes on fuel, cigarettes and alcohol will rise by one third. * Special levies on profitable firms, high-value properties and people with high incomes will be introduced. * The public sector wage bill will be cut steadily to shrink it by more than 2bn euros by 2015. * Nominal public sector wages will be cut by 20%. * Wages of employees of state-owned enterprises will be cut by 30% and there will be a cap on wages and bonuses. * The number of civil servants to be suspended on partial pay will rise to 30,000 by the end of this year, from 20,000 planned initially. They will receive 60% of pay for one year, having been promised a job for life. * All temporary contracts for public sector workers will be terminated. * Only one in 10 civil servants retiring this year will be replaced and only one in 5 in coming years. * Defence spending will be cut by 200m euros in 2012, and by 333m euros each year from 2013 to 2015. * Health spending will be cut by 310m euros this year and a further 1.81bn euros in 2012-2015, mainly by lowering regulated prices for drugs. * Public investment will be cut by 850m euros this year. * Subsidies for local government will be reduced. * Education spending will be cut by closing or merging 1,976 schools. * Social security will be cut by 1.09bn euros this year, 1.28bn euros in 2012, 1.03bn euros in 2013, 1.01bn euros in 2014 and 700m euros in 2015. * There will be more means-testing and some benefits will be cut. * Existing retirees aged under 55 to lose 40% of any pensions over 1,000 euros. * The government hopes to collect more social security contributions by cracking down on evasion and undeclared work. * The statutory retirement age will be raised to 65, 40 years of work will be needed for a full pension and benefits will be linked more closely to lifetime contributions. * Selling stakes this year in the betting monopoly OPAP, the lender Hellenic Postbank, port operators Piraeus Port and Thessaloniki Port as well as Thessaloniki Water. * It has agreed to sell 10% of Hellenic Telecom to Deutsche Telekom for about 400m euros. * Next year, the government plans to sell stakes in Athens Water, refiner Hellenic Petroleum, electricity utility PPC, lender ATEbank as well as ports, airports, motorway concessions, state land and mining rights. * It plans further sales to raise 7bn euros in 2013, 13bn euros in 2014 and 15bn euros in 2015. * The law will make it easier for companies to cut their payroll costs. It will do this by suspending industry-wide wage bargaining. Greece has seen numerous general strikes during the year, resisting severe austerity measures voted for by their politicians. 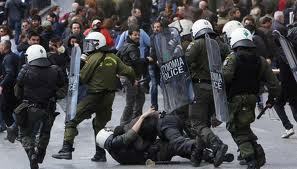 citizens have taken to the streets in protest and outrage as their countries were gutted and their resources pillaged. It is not a shock that these transitions to ‘free markets’ and mass privatization must be enforced at the end of a gun or with wires and a car battery. 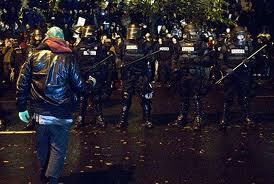 Police in an overwhelming show of force during the eviction of peaceful protesters at Occupy Portland. Increasing police violence against protesters and members of the press has been met with universally met with public outcry. people’s own well-being, therefore they will not endorse it with their vote. To do so is economic suicide. This creates the intimate relationship between corporate capitalism and the police state. While this steroid juiced version of capitalism is tremendous for creating monstrous corporate profits, it comes at an equally monstrous price to the people upon whom these changes are forced. All measures of subjugation are used in completing the economic transformation insisted on by the US and the IMF. Recently, Italy’s police used tear gas on protesters assembled outside the parliament while politicians voted in austerity measures. After passing the harsh measures and committing the country and its economy to IMF ‘review’, the Prime Minister resigned and was replaced with an unelected technocrat. He is intent on enforcing the IMF’s agenda there. Greece has done the same, as another unelected economist has been appointed to meet the budget expectations of the IMF. Spain saw elections last week, but there can be little comfort taken from the conservative party taking power. The illusion of choice has been used as a tool by the IMF and US before in order to secure the desired result, in fact, one can make a legitimate argument for that having been employed in America. In this case, the goal is the oppression of millions of Europeans due to the crimes, decisions and deal making of the very few. The Central Bank of England has been discussing the notion of introducing another round of Quantitative Easing, which is a fancy way of saying they are considering pumping more money into the economy. The problem with this as a fix is that it isn’t a fix. It serves to drive inflation and borrowing costs, which is what has put the EU at the mercy of the IMF. What is clear, as Europe slides closer to actually attempting to enforce these brutal austerity measures, is that the people will resist. That is evident throughout the world, as revolution and awakenings are taking place all around the globe in an effort to end oppression. Here in America, as we begin to see our own future play out a continent away, a realization is beginning to settle in. We are beginning to understand what is coming here and why. For those responsible for unleashing this misery and other crimes against humanity around the globe for years without challenge, it is this awakening that is kryptonite. What is equally clear, is that the empire of the United States of America, using the IMF as its proxy, is intent on bringing Europe’s people to their knees. It is clear that these same banking institutions are preparing Americans to accept their austerity. The automatic cuts triggered by planned congressional failure are the first wave to hit here. Quietly, public domains are being given away for nothing as the government continues the march toward privatization of our commonly held assets. As in the recent example of the Rio Tinto land swap which would expand the private transnational mining corporation’s copper deposits in Arizona by swapping a few thousand acres of land, labeled ‘environmentally sensitive’ for these valuable holdings. Rio Tinto is being tried in US federal courts for their role in the genocide and war crimes committed with alongside the government in Papua New Guinea against citizens there who opposed a mining project in the 1980’s. This would make Rio Tinto ideally suited as a business partner for the US government. As South America was used as a laboratory for US experiments in police state capitalism, Eastern Europe and Russia was where the techniques of pushing reform at the barrel of a gun were perfected. Western Europe is where the finishing touches are now being applied to the tyrannical system. Student protesters against 'free market' reforms in China were victims of a bloody massacre in a police state crackdown on democracy. People of all nations resist these same massive IMF-inspired 'free market' reforms that consist of deregulating business and privatizing the public sector. China and it's unapologetic police state remains the preferred business model of the IMF. 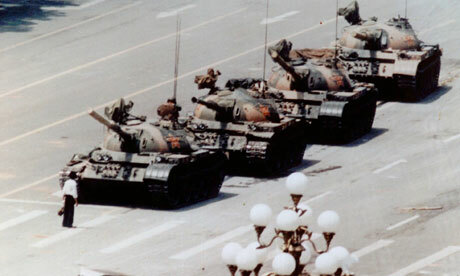 China has been a model, creating a nearly perfect union of the police state and capitalism, illustrating what is possible when human rights are discarded in favor of lining pockets with gold and placing power in the hands of an unopposed 1%. No surprise then, that the people of the United States find themselves stuck under a boot they hadn’t realized was there. While the bank controlled debt crisis races through the European Union and its leaders are faced with the distasteful task of enforcing the IMF dictates, America watches with anticipation. Like the car wreck that faces us to look at our own mortality, we are unable to peel our eyes from what we know is our inevitable fate. European Austerity is where it begins but we know where it is heading. Police action taken earlier this month against protesters at Occupy Oakland in which a young veteran's skull was fractured. In developments that surprise no one, the so-called unconstitutional ‘super committee’ has not reached an agreement on how to stabilize our economy while addressing serious issues in our budgetary allocations. The lack of action is setting the stage for what Fed Chairman Ben Bernanke called for over the summer, a ‘new way’ of making decisions in our government. See the march of the unelected technocrats in European countries Greece and Italy, with changes sure to come in Spain next. Watch as these financiers begin destroying the economies of these countries, as it is a precursor to what is to come in the United States. The first wave of American Austerity will come after the committee fails to reach an agreement next Wednesday November 23rd, just in time for the Thanksgiving Day holiday.